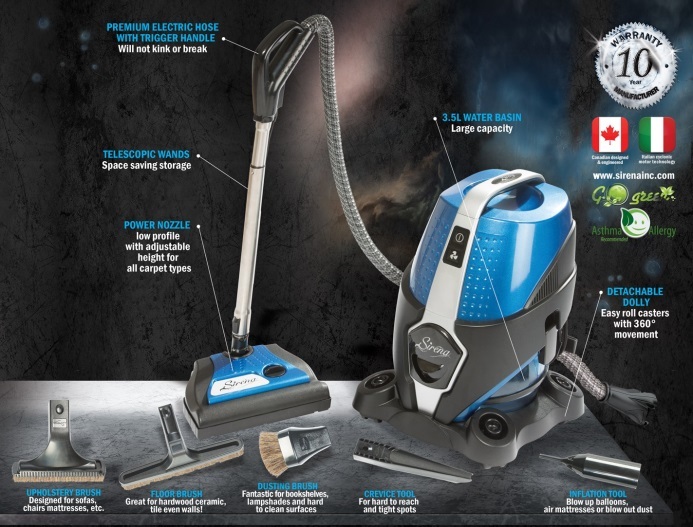 Sirena Inc. announced the launch of a new residential vacuum cleaner which features a combination of water and HEPA filtration for the most effective way to clean your indoor environment. 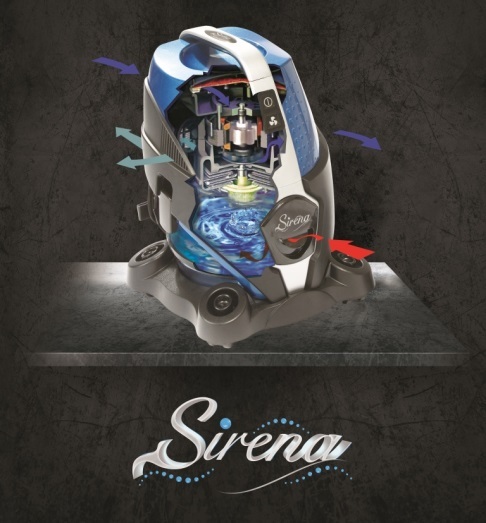 “There is no comparison between traditional bag and bagless systems and the new Sirena which features water as its primary filter,” claims founder and President Toufic Khayrallah. “Traditional systems are, by their very nature, quickly ineffective due to the bag and filter systems they use to trap dirt,” he went on to explain. “Bags and filters are porous, that is full of holes. These holes allow air to pass through otherwise your bag would act like a balloon and explode. The problem is with each use, your holes become clogged; this reduces airflow and it’s airflow that is critical to cleaning ability, not suction as we are led to believe through vacuum manufacturer ads,” he added. By using water as a primary filter, the Sirena also becomes a boon for asthma and allergy sufferers. Most people who suffer breathing disorders are especially susceptible to airborne particles, which are made worse by traditional systems (think of the smell that comes out of the vacuum). Bags and bagless systems are known for breeding germs and bacteria in their warm, dark and filthy environment. “You would have to change your bags and filters with each use to achieve maximum cleaning ability with traditional vacuums, and that’s something consumers won’t do due to the costs and inconvenience associated with doing that,” Mr. Khayrallah went on to say. As a vacuum cleaner, nothing can compare. Sirena will maintain its cleaning ability 100% of the time, meaning you are actually cleaning while you vacuum. Skeptics need look no further than the water in the basin to prove the effectiveness of this machine. Equipped with a motorized power nozzle as well as 5-accessory tools the Sirena will take of every nook and cranny in the home. Pet owners will fall in love with Sirena’s’ ability to remove pet fur and dander, and the Sirena’s ability to pick up spills will prove very helpful for those emergency spills that need a quick efficient cleanup. The Sirena total home cleaning system is available through select retailers worldwide as well as through their website at http://www.SirenaSystem.ca.